To celebrate National Lipstick Day, MAC stores worldwide were giving out free selected shades of lipsticks in their stores. I've never ever (as I now realise writing this post!) actually got around to trying MAC make up! Luckily for me, I have a MAC store a fifteen minute train journey away, so catching the announcement on Insta stories and already having bottomless brunch plans in the same town that day, I headed down early to my local store (dragging boyfriend in tow to claim a lipstick too!) There was a variety of shades to choose from, different stores & online holding different shades. 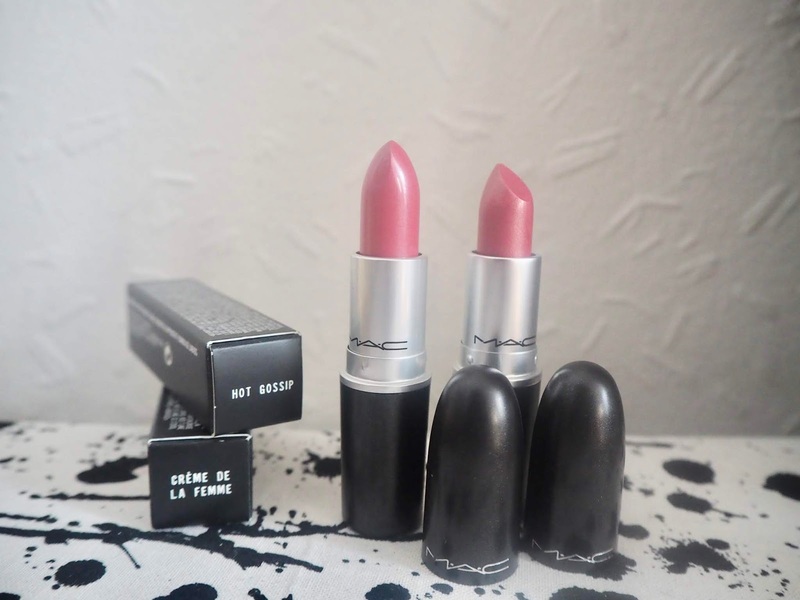 I opted for Hot Gossip & Creme De La Femme ... both shades I wouldn't normally pick, but I was drawn to them! Thank you MAC for the lipsticks!